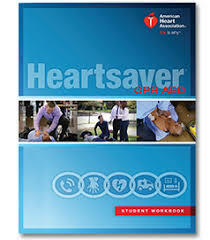 This class is designed for individuals who need a CPR card for either personal fulfillment or for work purposes in industries NOT involved with medicine/healthcare. It is best to ask your employer which class is required for your employment. This class is perfect for the lay person, the fitness instructor, the educator, or the childcare professional. This class is also appropriate for parents or couples ready to adopt, expectant parents, or anyone else who does not work in an any kind of medical/healthcare industry. 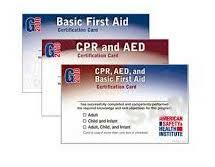 Card Type: Two Year Certification Card From The American Heart Association or American Safety and Health Workplace Professionals Course Completion Card once all objectives have been completed.